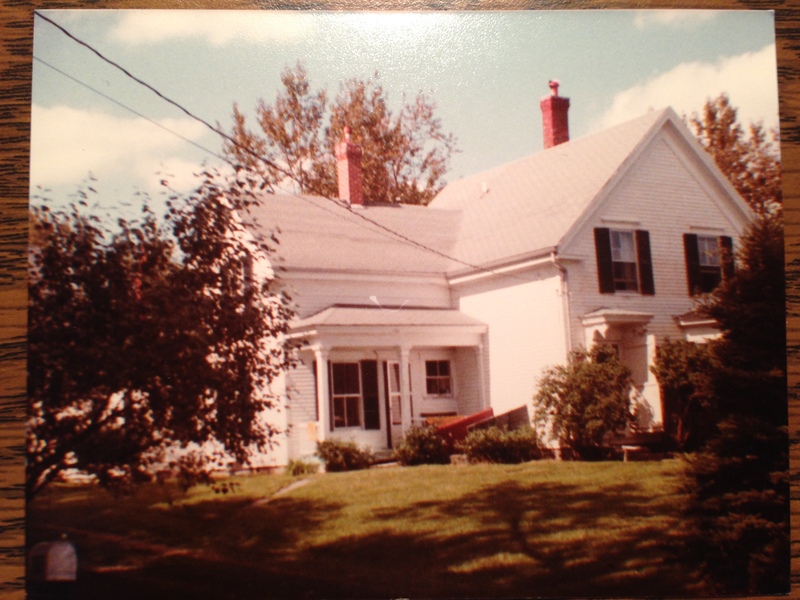 “The House in Maine” | "Dear Abbie: The Non-Advice Column"
Having grown up in city apartments, owning a home had never been high on my list of desirables. In fact, co-inheriting one, when my parents died, felt like the hand of a heavy fate on my shoulders. Before then, entropy had been a mere concept. Now it was the Great Adversary for a partly ante-bellum, wood-frame house. As a new driver, I had rather feared the long drive north from New York and the business of fitting a hundred years of family belongings (from my parents’ now-emptied apartment) into that spare New England interior. And I dreaded being alone with the silences, where my parents’ loved voices had been. But I found the silences friendly. From one summer to the next, the house gave me something this city kid never dreamed she’d get: a small town that was also a home town! As they say, “everybody dies famous in a small town.” The dramas, the secrets, the way of knowing people as they know you –in the round, not just over a restaurant table – were immeasurable life assets. Finally the summer came when I knew I must sell it. By then, I was in recovery from a mortal illness. It was too hard to keep fighting the effects of the Maine seasons as they blew in over the Bay. The stress of co-inheritance (but sole charge of upkeep) seemed, as the medical doctors say, contra-indicated, if my recovery was to have a future. Lastly, having gotten my father’s posthumous book published, I no longer felt that the space my parents had occupied in the world needed to be maintained in the form of this memorable house. When you sell a house, you also have to verify ownership of the land it sits on. What I learned was that my not-so-worldly parents had bought the shore strip from a neighbor who didn’t own it. The right-of-way cut a wide swathe through the front edges of the lawn and we didn’t own that either. So the half-acre that was left was shorn of frontage and shaped like a trapezoid, a triangle with the pointed end sheered flat. The damn thing wasn’t saleable. If I didn’t have the property I thought I had, it turned out I did have true friends. One of them was Shirley, a winner of many ribbons at rodeo competitions, in Maine and nationally. Her people had been settled in the county since earliest times. Traditionally, in that part of Maine, properties are not fenced and tensions about borders can run high. Shirley knew who owned what, who was in town (however briefly) to negotiate with and which part-owner could die at any moment leaving dozens of heirs. The owner of our biggest right-of-way was a man named Kelly, who lived at the end of “The Kelly Road.” Shirley trotted down the road to introduce me and I trotted behind. I telephoned the realtor. “Ron,” I told him, “Kelly’s in town. And he won’t be here long.” The realtor came in his jeep that afternoon, to fetch him. and there was peace on earth. This entry was posted in Culture, Friendship, Memoir, relationships and tagged acreage, ante-bellum homes, border disputes, city apartments, entropy, family belongings, fences, friendship, gospel, hometown, inheritance, land, Maine, memorabilia, memories, miracles, New England, New York, nostalgia, ownership, property, real estate, right-of-way, rodeos, selling a home, small towns, surveyors stakes, tradition. Bookmark the permalink. Pingback: “Getting Thrown” | "Dear Abbie: The Non-Advice Column"
Where you are, kid, it’s always honeysuckle and magnolia! Wow, what a presentation venue. I recognize the house! Hey Nancy, how good to hear from you! I’m so glad you recognize the house, but you’d have a job to recognize it today. It went through several owners who obviously weren’t the right fit for it, till it finally got purchased by two Southern ladies. To my great satisfaction, they are taking beautiful care of it, but there’s not a molecule of it that I can recognize. Talk about antebellum. With a colonnaded front porch, it looks like Tara on the Narraguagus.